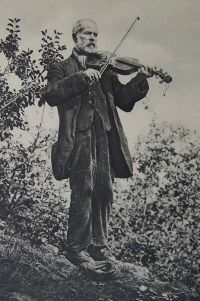 It is thought that the fiddle first came to Wales in the 17th century – according to some sources with the gypsy Abraham Wood. Along with the new instrument came a new type of music, from England and continental Europe – a change that eventually led to a break with the old indigenous music and its medieval flavour. The new instrument was lighter, more flexible and ideal for dance accompaniment. There is very little written evidence available about the fiddlers of the 17th century. In his booklet Famous Fiddlers, the Rev. Meredith Morris could only name one, Gruffydd ap Rhydderch from Coity near Bridgend. The Englishman J.Verdon, when describing his travels through Anglesey in 1699, noted that he saw two fiddlers accompanying dancers around the maypole. According to one of the Morris family of Anglesey, William Morris, it was the custom in the 18th century for wedding processions to be accompanied by harps and fiddles. Another of the Morris’s, Gwilym Morris, mentioned two fiddlers from Anglesey in 1788: Siôn Olifer and Wil Bedward. 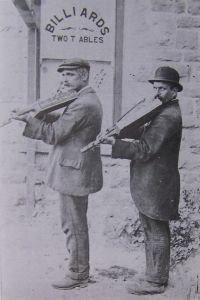 At least two of the Morris brothers were skilful fiddlers themselves. In one of his books, William states: "Mi dawaf am heno ac af i ganu ceinciau ar fy ffidil ffôl. Dyma fy nifyrrwch yn fynych ddarn o'r nosweithiau...." (For tonight I will now stop and I'll go to play tunes on my carefree fiddle. This is my delight often on these evenings...") His favourite Welsh melody was Ys Wyt Risiart (or Sweet Richard). At about the same period, the squire of Brynddu, Llanfechell, William Bulkeley, described in his diary how harp players and fiddlers were hired for the Christmas and New Year period. The name of one of the fiddlers was Wil Wyllt ('Wild Wil'). He was paid two shillings for his services in 1755. In the 18th century, we know of two fiddlers who were also collectors: John Thomas (who was probably from North East Wales) and Morris Edwards (from Anglesey). In the John Thomas collection of about 1752, there are 400 different tunes (not all of them Welsh by any means) and in the Morris Edwards collection (of about 1778) 175 tunes: proof of the popularity of the fiddle at the time. There are several descriptions of the fiddle accompanying dancing – for example on May Day and Maypole dances. According to the Rev. 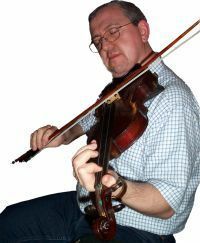 Meredith Morris, there were eight fiddlers present at a fair in Yerbeston in South East Pembrokeshire in 1850, including Aby Biddle from the Tenby area who spent his summers travelling between fairs, weddings and other events in South Wales. He also mentions the fiddler Ianto’r Garth from the Tir Iarll district in Glamorgan, who died in 1828 – a fiddler and composer of ballads. Amongst others, he names John Roberts of Newtown (who died in 1875) – possibly from the Welsh gypsy family; Crythor Cerdin (Thomas Jones) from the Llangynwyd area in Glamorgan, and the balladmonger Lefi Gibbon from Cwmfelin Mynach in Carmarthenshire. The people who kept the Welsh folk fiddle tradition going up to the First World War were the Welsh gypsy families – influencing individuals such as the traditional harpist Nansi Richards (Telynores Maldwyn) amongst others. They made their fiddles themselves – out of old wooden boxes! 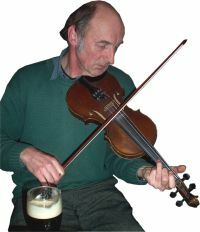 Today, the fiddle is the most popular folk instrument in Wales by far – as it is in most western countries.